Arthur defines a unit as the element that contains the tenancy, e.g house, flat, or room. The property is effectively the envelope that contains the rentable unit/s. Arthur uses the latest in cloud computing together with a powerful mobile interface which allows access to your property at any time. 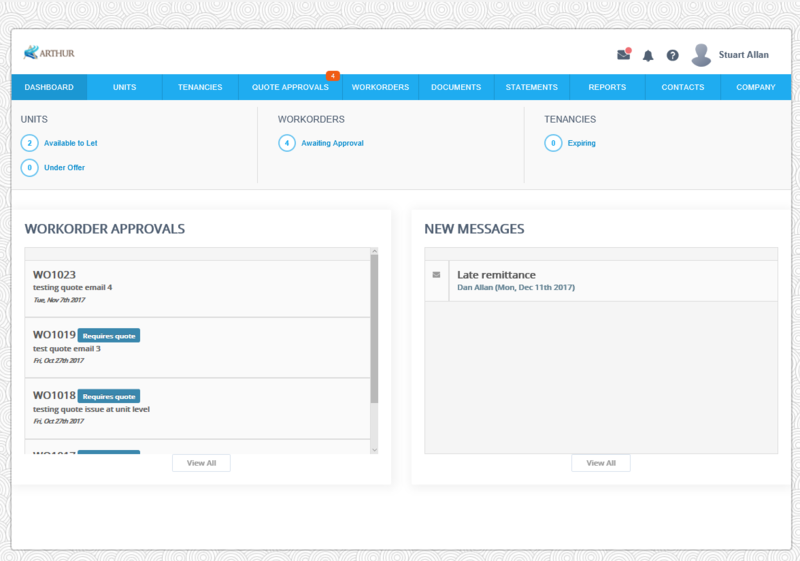 Furthermore all property managers in your team are able to work off the same platform together and on any device. Arthur allows a unit to have anyone of 4 statuses, all editable on the go. Available to let; let; under offer; unavailable to let. This automatically changes when the property manager or landlord changes the tenant status. The property manager can invite the property owner, in order to allow them access to information, view workflow and statements from any device. Giving the property owner confidence that his asset manager is managing well. 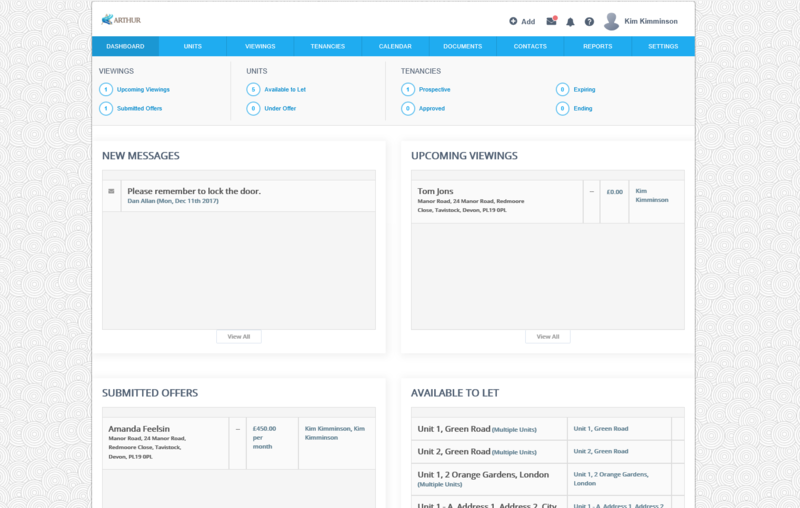 The property manager’s appointed letting agents can be invited in order to add viewings, view and upload documents and add prospective tenants. This helps the property manager or landlord manage an incoming tenant. With Arthur’s integrated approach, assets can be shared with a simple tick of a box. 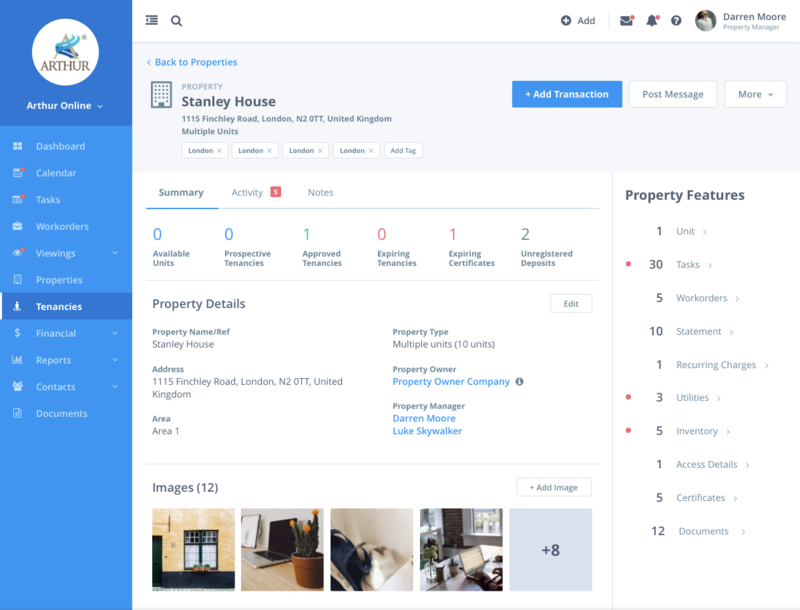 Property managers and landlords are able to add utility information. 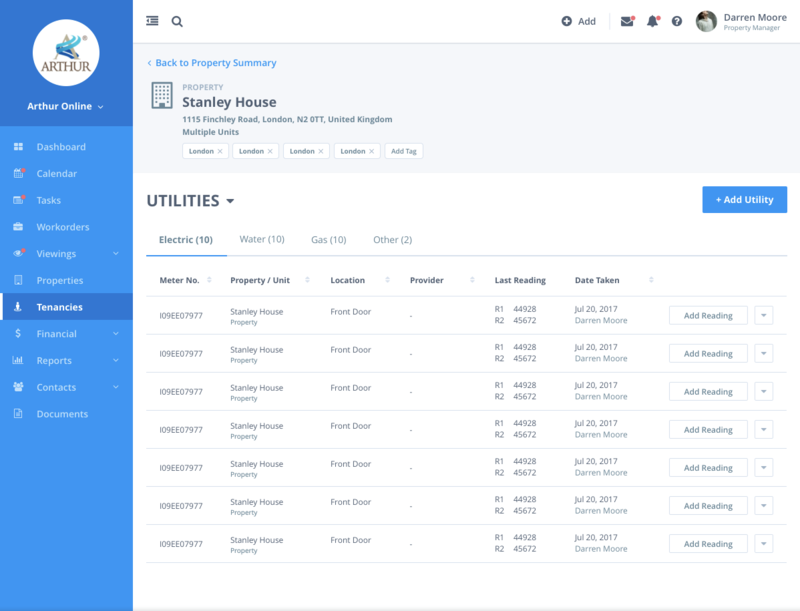 If required, Arthur can notify the utility company of incoming and outgoing tenants via the events area of the software. This results in less time managing the rental portfolio. Property managers are able to add certificates with expiry dates. Notification emails will be sent about up-and-coming expiring dates. 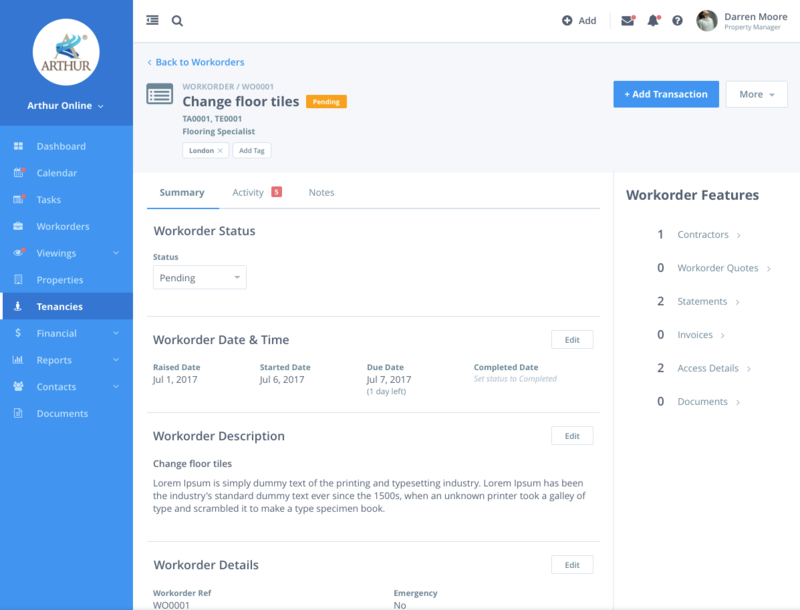 Workorders or tasks can easily be raised against these on any device, meaning managing a portfolio has never been easier. 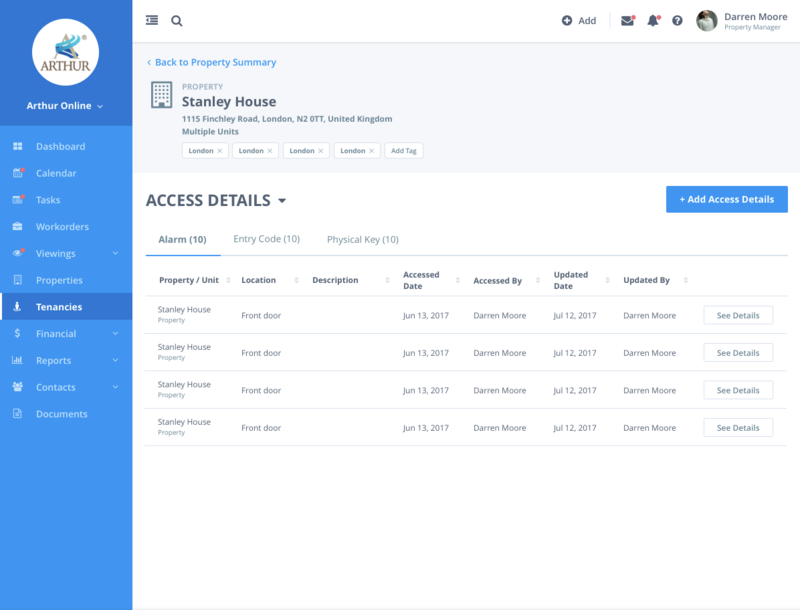 Property managers can enter unit access details such as alarm codes and location of keys that will be made available to their invited contractor/s once they have accepted the job. Property managers and landlords can raise a workorder against the unit and allocate it to a contractor with ease. Property managers and landlords can enter council tax details. 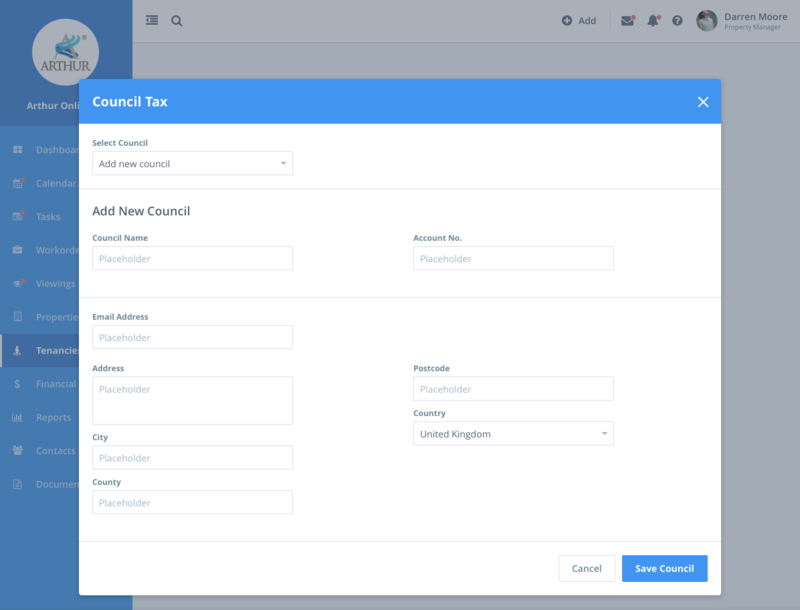 If required, Arthur can notify you about council tax for an incoming and outgoing tenant via the events area.